3_Hole_Punched_Folders is rated 5.0 out of 5 by 3. Rated 5 out of 5 by Communicologist from Student homework folders Once again, consistently good quality, quick delivery. They hold up for the entire academic year! Rated 5 out of 5 by Dane from Plastic folders Love these folders! They hold up and are pretty colors too!!! These folders are 0.5mm and are not biodegradable or recycled. I need 10 Black - can I buy only Black? 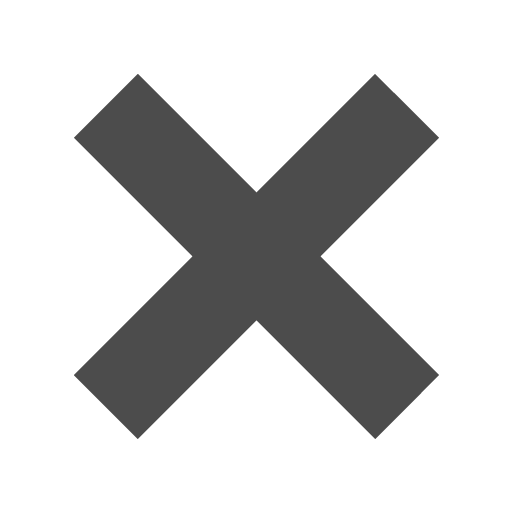 If not black 10 Blue without the other colors? Hi Greg. Sure you can buy just black! First select either &quot;Plastic 3 Hole Punch&quot; or &quot;Glossy 3 Hole Punch&quot; and then select the color you want. Then use the quantity drop down to select how many you want. If you have any other questions, don't hesitate to ask! What is the difference between plastic and gloss? &quot;Plastic 3 Hole Punch&quot; folders are plastic with a basic finish. The &quot;Glossy 3 Hole Punch&quot; folders are plastic with a shiny finish. The product names are a little confusing. Sorry about that! Are the inside pockets sealed on both sides or open on one side? I'm not sure I understand your question. Please refer to your email for additional details. No, these folders will not rip or tear unless they are over-stuffed! Do your best to clean out your folders occasionally. I need that strongest pocket folders available. I would like for them to be three hole punched. My son uses them in his binder and all of the folders we buy always rip after a couple of weeks. What do you recommend? 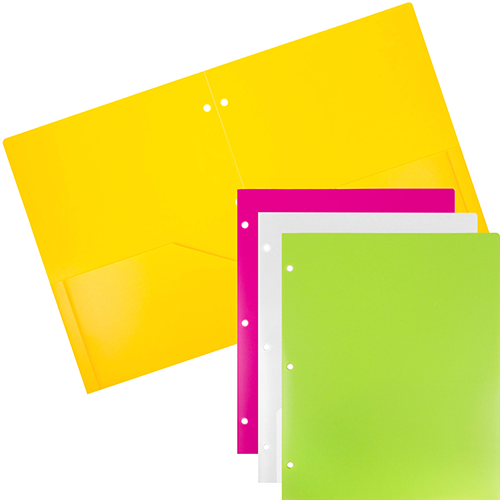 Our 3 Hole Punch Folders are made of thick plastic and are very durable. Provided you do not over-stuff them, these folders are guaranteed to last an entire school year, if not multiple school years. Just be sure to clean them out every now and then! The folders are made of the same thick, durable plastic, no matter if the finish is regular or glossy. Hi. Good catch! Yes, that is supposed to be $12. It is now fixed with the correct price. For the bright young scholar in your life, you need the brightest school supplies on the market. Our 3 Hole Punched Folders are the fun, lively way to keep all their papers organized and keep them focused and learning. These folders are durable, cool-looking, and designed with the student in mind. With a sturdy construction, three ring binder accessibility, and flexible design, these will fit all their papers and keep them safe and in place. Keep your files and presentations organized with this folder, whether in or out of your binder. Available in many vibrant colors, they’ll be sure to find their favorites, or you can even use a different color for every subject. And since they’re made with a durable poly plastic, they will be sure to last the entire school year. For the student in your life, choose the folder that’s as bright as they are. 3 Hole Punched Folders are available in Black, Clear, Orange, Yellow, Green, Navy Blue, Hot Pink, White, Lime Green, Purple, Gold, and Silver.